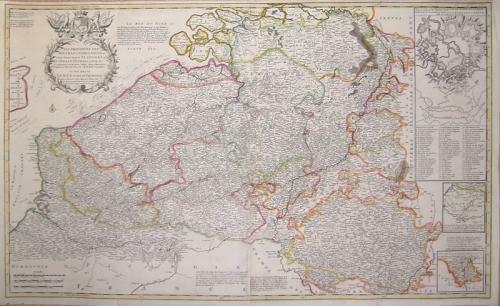 Title: 'A Most Exact Map of Flanders or Austrian Netherlands...' from 'The World Described'. A very large and impressive map of the southern Low Countries. A huge amount of detail is present with three inset maps of fortifications, the Picardie area of France and Luxembourg. In very good condition with a minor repair to the top left corner border and two minor centerfold reinforcements on the verso.